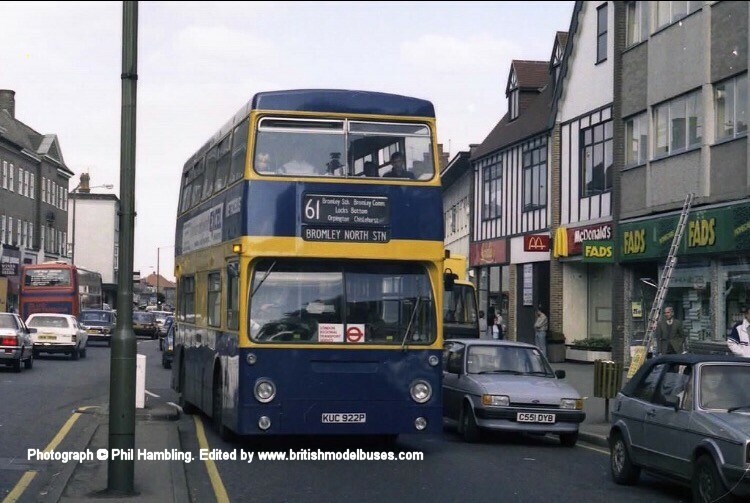 This photograph was taken at the Southbourne yard of Emsworth & District in 1998 and shows Emsworth and Distrcit OJD190R. 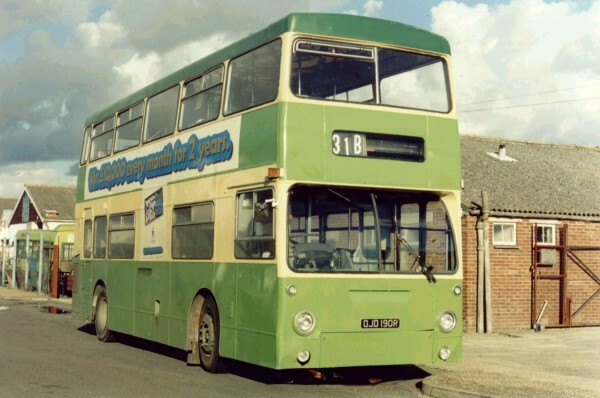 This vehicle was new to London Transport (as DMS 2190) in 1976 , before it passed to Wilts & Dorset (1912, 4912) in 1983, Bournemouth (under the 'White Buses' name) (W6, 531) in 1994 and finally to Emsworth & District, Hants, in 1997 as seen in the photograph. 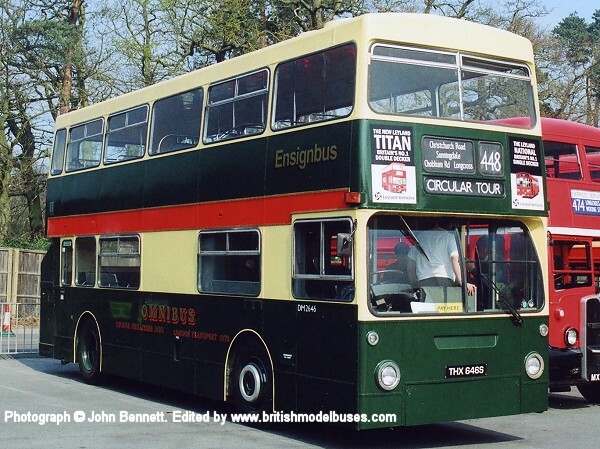 The bus was sold to Ensign and scrapped in part exchange for a Leyland Titan in February 2001. 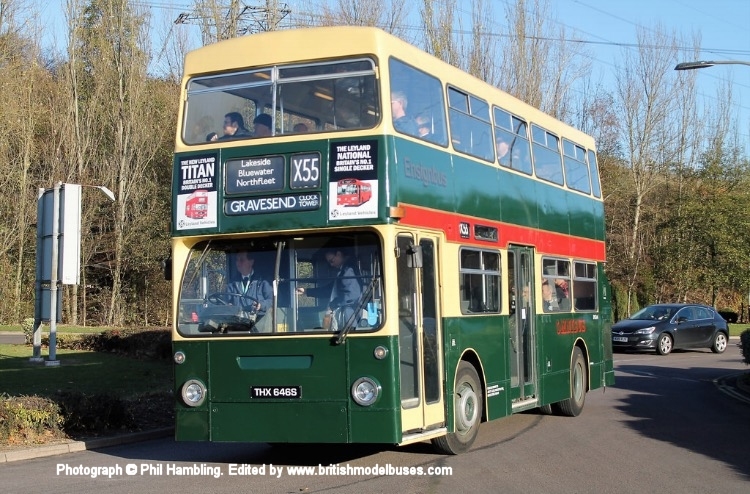 This photograph was taken at Longcross on Sunday 01/04/07 and shows DMS2646 (THX646S). 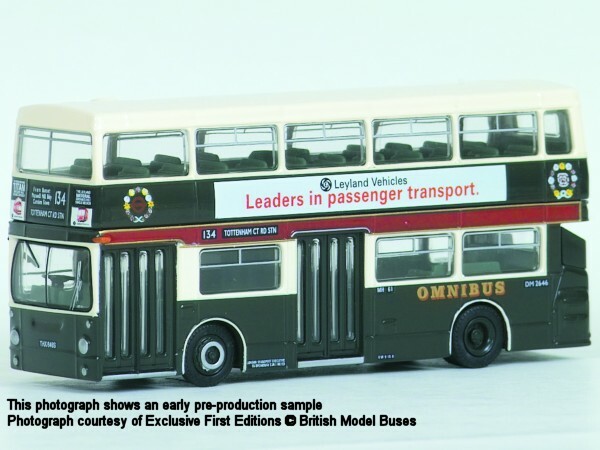 This is the actual vehicle modelled by EFE as their model 31301. 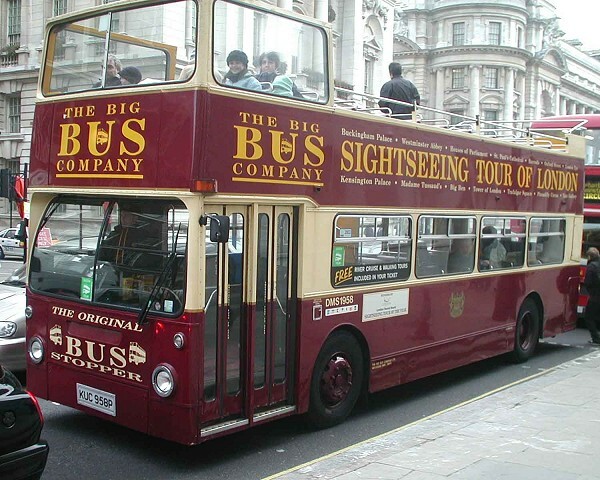 The bus still wears the same colours but now has the Ensignbus fleet name applied. This photograph shows the nearside of the above and was taken at Lakeside Bys Station, Essex during December 2016. 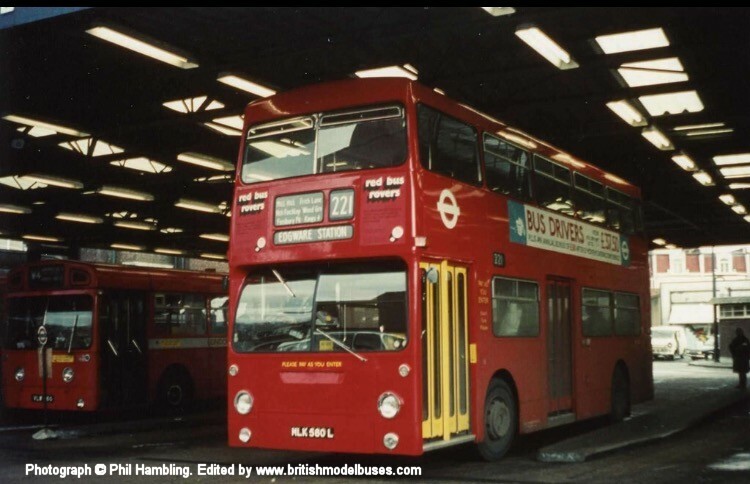 This photograph taken at Aldgate on 15 June 1974 shows DMS1318 (MLH318L). 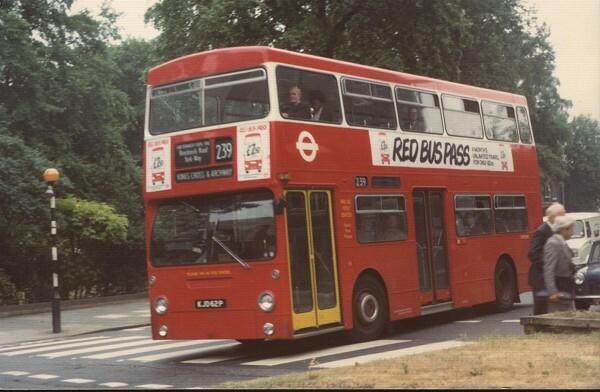 This vehicle is a sister bus of DMS1323 (MLH323L) as represented by EFE model 25705. 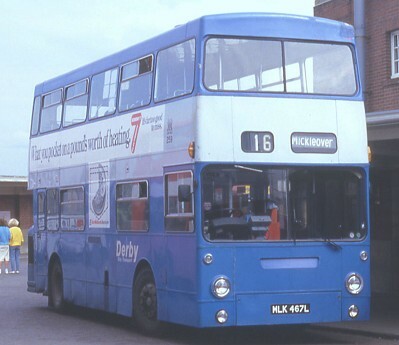 This photograph shows DMS1318 on the same route, livery and with the same adverts as the model. 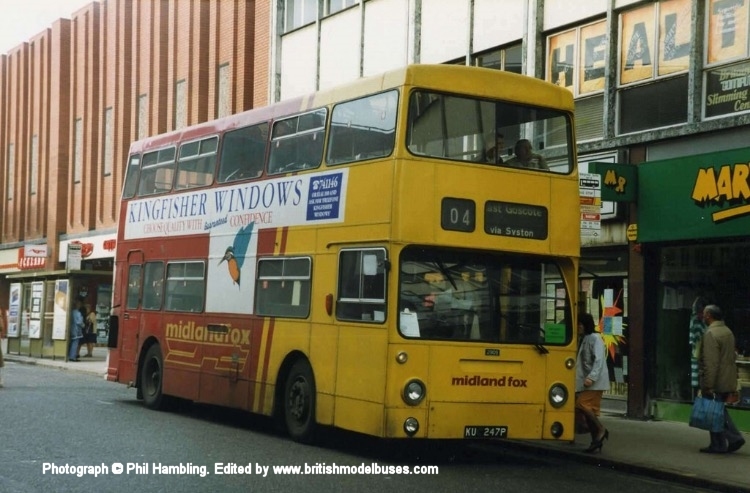 This Photograph was taken in Leicester city centre in January 1990. It shows KUC243P. 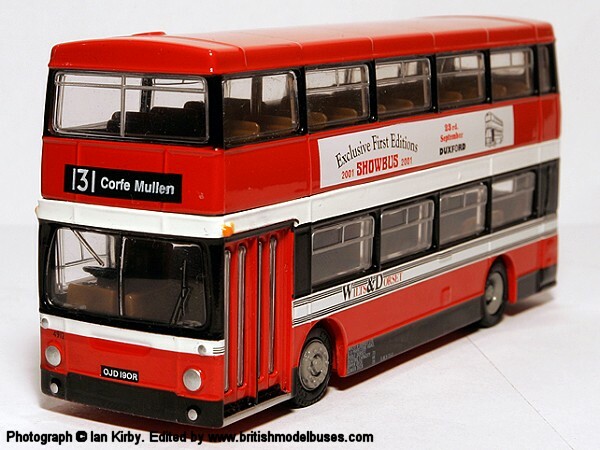 EFE represented sister vehicle fleet number 2909 (KUC247P) as model 25806. Behind is a Leicester Metropolitan. 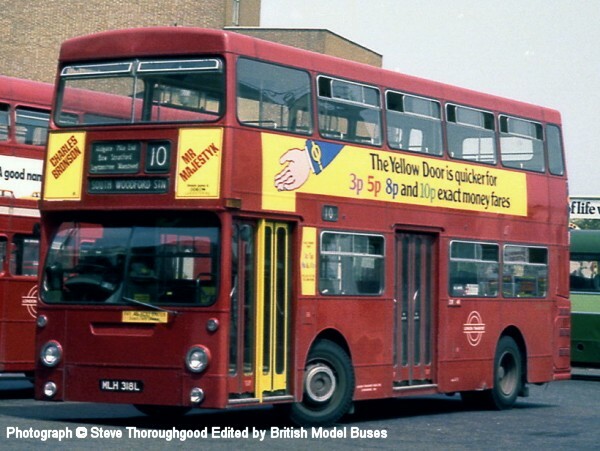 Leicester's Metropolitans were dual door like the London ones. 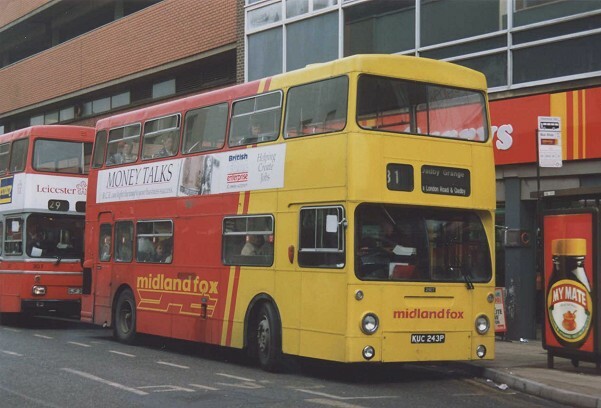 This Photograph was taken in Leicester during March 1990 and shows fleet number 2909 (KUC247P). 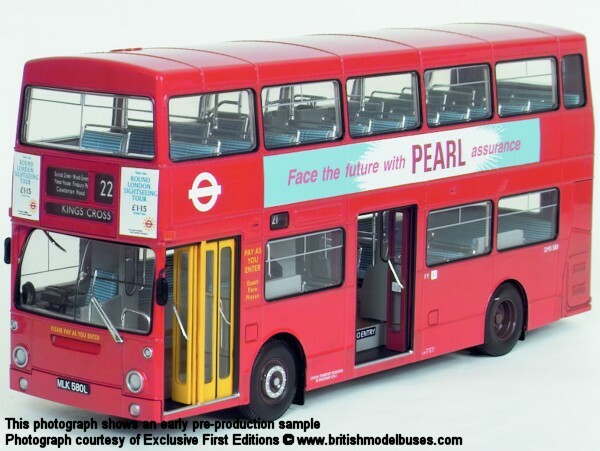 This is the actual vehicle represented by EFE model 25806.